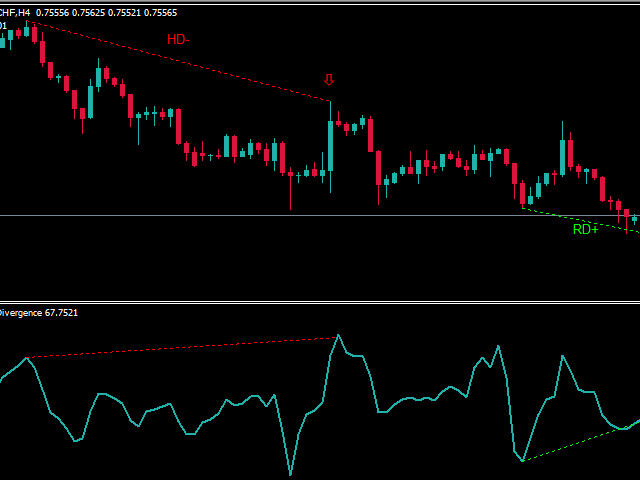 CCI is a pretty useful indicator in itself but it's even more effective when you trade divergence patterns with that. 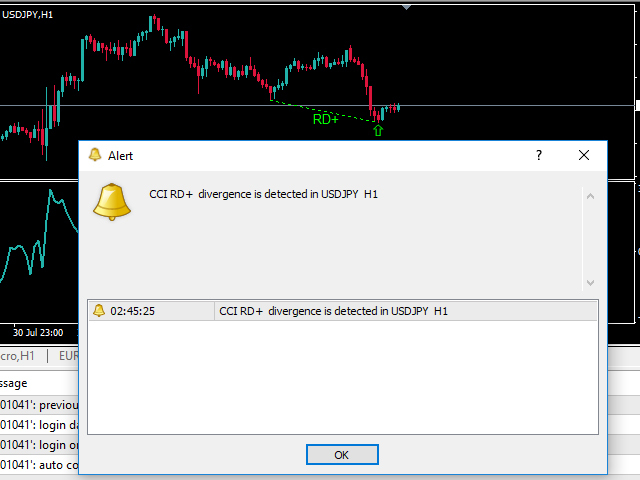 Because the divergence signal of the CCI indicator is one of the most powerful signals among the indicators. 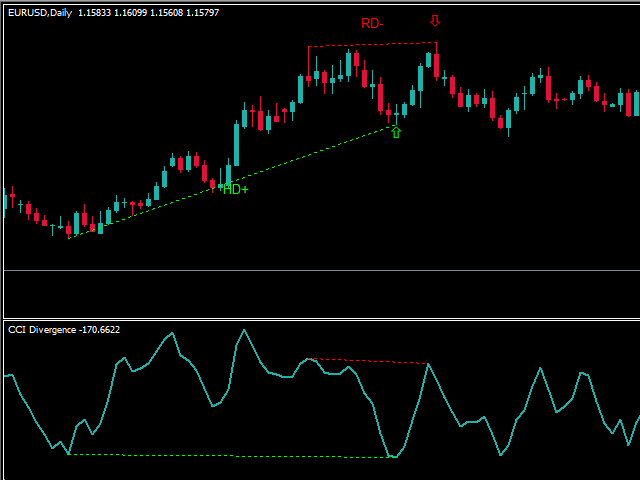 Divergences signal a potential reversal point because directional momentum does not confirm the price. A bullish divergence occurs when the underlying security makes a lower low and CCI forms a higher low, which shows less downside momentum. A bearish divergence forms when the security records a higher high and CCI forms a lower high, which shows less upside momentum. 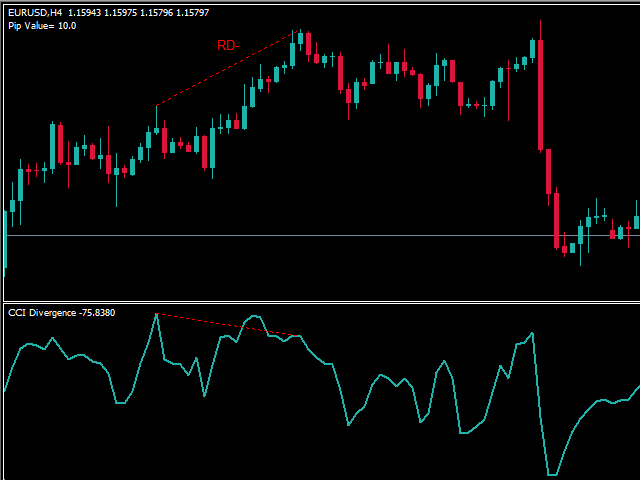 The indicator also finds hidden divergences(HD). 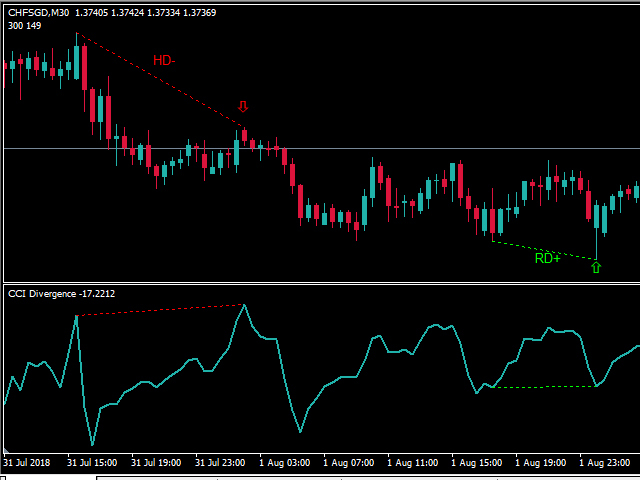 Hidden divergences are created in the direction of the trend, and are often strong signals for the trading. 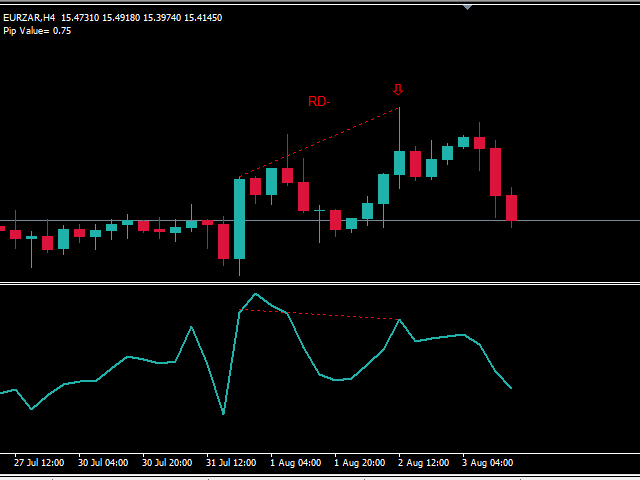 This indicator is very functional and can greatly improve the outcome of your trading. This is a multi-time-frame indicator(Under M15 is not recommended). 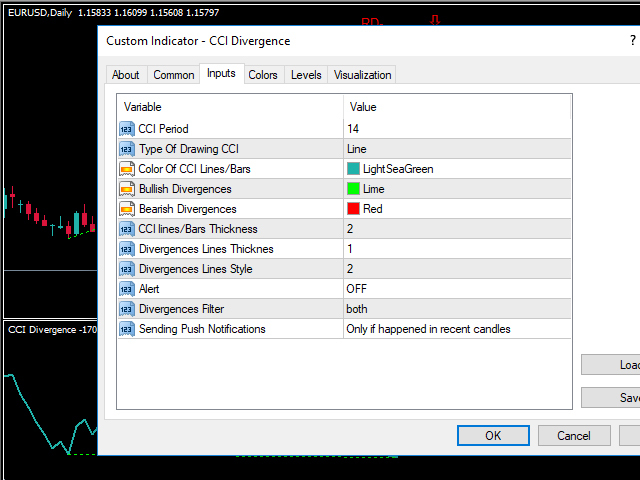 Indicator detects price pivots and checks the corresponding value of pivots on CCI indicator. 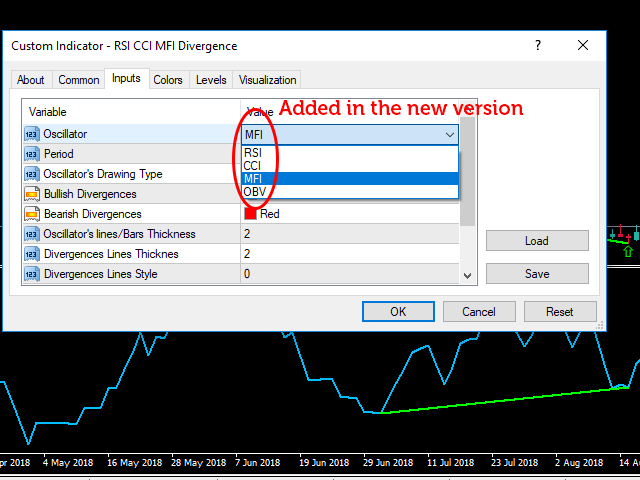 When a divergence is detected(price movement and oscillator in the opposite direction), it is plotted bylines in the chart and oscillator. 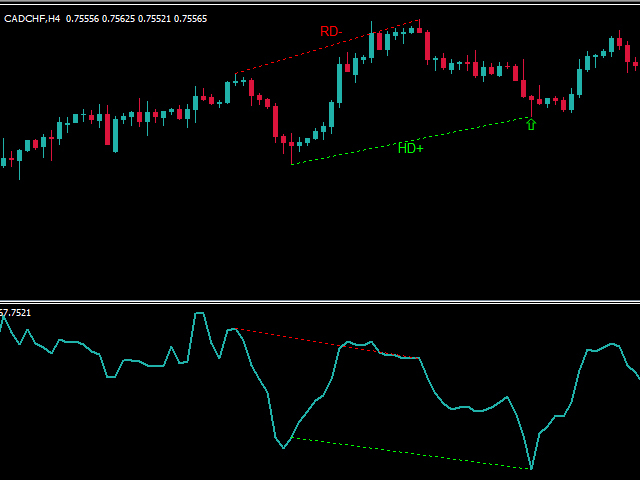 RSI, MFI and OBV divergences detector are added in the new version, enjoy. 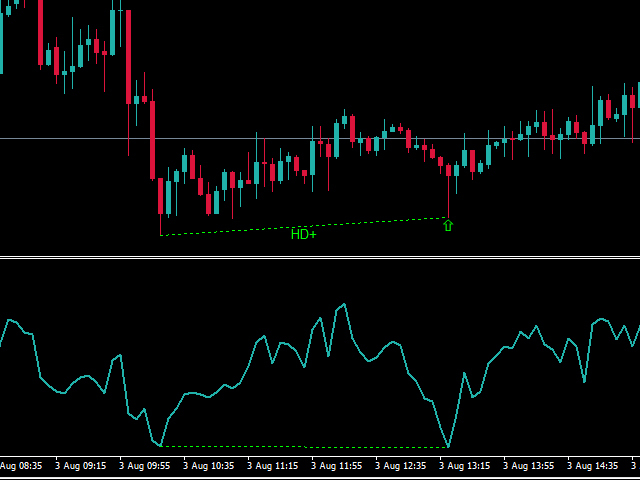 Some parameters of the indicator changed. The capability of Push Notifications enhanced. Push Notification and Alert Sending improved. 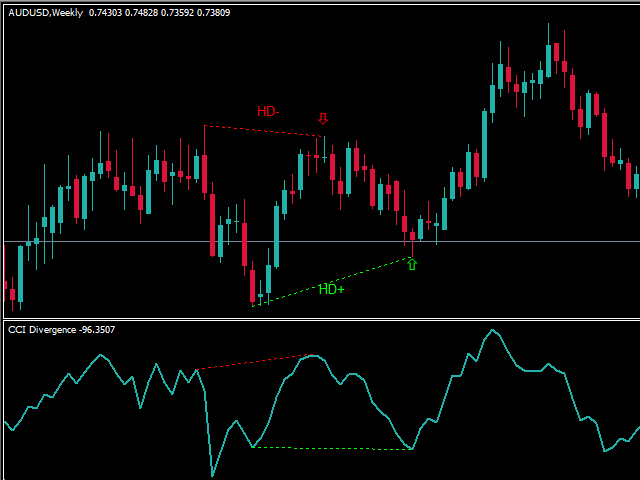 The possibility of displaying divergences in 4 indicators(CCI, RSI, MFI, OBV) is available now.